Cambi Casa d’Aste’s Racing & Sports Cars sale, poised to take place on 24 November in Milan, is spearheaded by the unique 2006 Maserati MC8 GranSport Laboratorio, which is notable for being the Trident marque’s last factory-prepared racer. It was based on the GranSport GT3, though featured numerous technical innovations including a carbon driveshaft and sequential gearbox. For its debut, it was deployed to the Nürburgring 24 Hours, one of the most challenging endurance races in the world. Though drivers Andrea Bertolini, Michael Bartels, and Eric Van de Poele stuck the car in 10th position on the grid and got up to fifth in the race, they were cruelly eliminated by another competitor in the fifth hour. The significant and unique factory racer would today prove an excellent entry to the flourishing Global and Masters Endurance Legends series – Cambi has attached a pre-sale estimate of 400,000–600,000 euros. Elsewhere in the catalogue, there is also a terrific range of Alfa Romeo racers, ranging from a proper 1750 GTAm in need of completion (est. 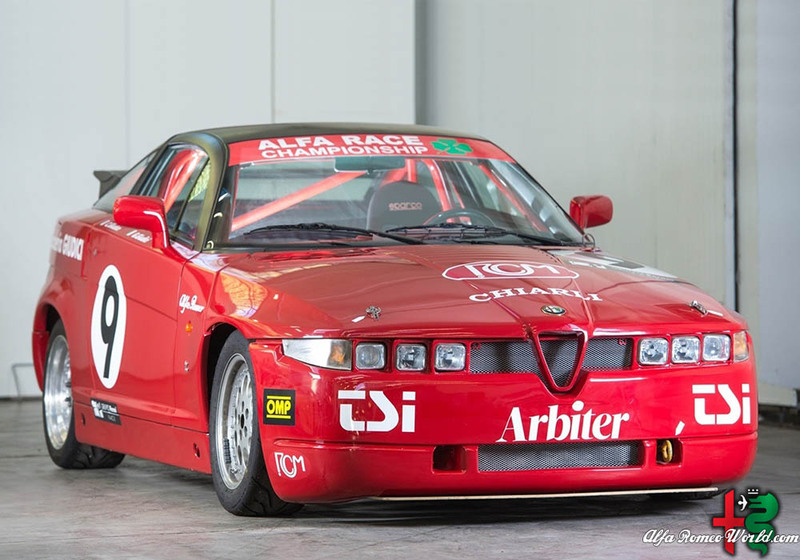 160,000–200,000 euros) to a well-preserved 75 V6 Group N, which was a class winner in the Italian Touring Speed Championship (30,000–45,000 euros). Our favourite Alfa would have to be the fabulous low-mileage SZ Trofeo, with its proper stripped out interior and punchy V6 engine. It’s estimated to make 70,000–90,000 euros.